Reporting The Latest Science News Around The Globe. ALBUQUERQUE, N.M. — A new supercomputer rating system will be released by an international team led by Sandia National Laboratories at the Supercomputing Conference 2010 in New Orleans on Nov. 17. The rating system, Graph500, tests supercomputers for their skill in analyzing large, graph-based structures that link the huge numbers of data points present in biological, social and security problems, among other areas. “By creating this test, we hope to influence computer makers to build computers with the architecture to deal with these increasingly complex problems,” Sandia researcher Richard Murphy said. This small, synthetic graph was generated by a method called Kronecker multiplication. Larger versions of this generator, modeling real-world graphs, are used in the Graph500 benchmark. (Courtesy of Jeremiah Willcock, Indiana University) Click on the thumbnail for a high-resolution image. A higher resolution EPS file of the image also is available upon request. The group isn’t trying to compete with Linpack, the current standard test of supercomputer speed, Murphy said. “There have been lots of attempts to supplant it, and our philosophy is simply that it doesn’t measure performance for the applications we need, so we need another, hopefully complementary, test,” he said. Many scientists view Linpack as a “plain vanilla” test mechanism that tells how fast a computer can perform basic calculations, but has little relationship to the actual problems the machines must solve. Each organization has donated time and expertise of committee members, he said. While some computer makers and their architects may prefer to ignore a new test for fear their machine will not do well, the hope is that large-scale demand for a more complex test will be a natural outgrowth of the greater complexity of problems. Part of the goal of the Graph500 list is to point out that in addition to more expense in data movement, any shift in application base from physics to large-scale data problems is likely to further increase the application requirements for data movement, because memory and computational capability increase proportionally. That is, an exascale computer requires an exascale memory. “In short, we’re going to have to rethink how we build computers to solve these problems, and the Graph500 is meant as an early stake in the ground for these application requirements,” said Murphy. Large data problems are very different from ordinary physics problems. Unlike a typical computation-oriented application, large-data analysis often involves searching large, sparse data sets performing very simple computational operations. To deal with this, the Graph 500 benchmark creates two computational kernels: a large graph that inscribes and links huge numbers of participants and a parallel search of that graph. Performance for these applications is dominated by the ability of the machine to sustain a large number of small, nearly random remote data accesses across its memory system and interconnects, as well as the parallelism available in the machine. Cybersecurity: Large enterprises may create 15 billion log entries per day and require a full scan. Medical informatics: There are an estimated 50 million patient records, with 20 to 200 records per patient, resulting in billions of individual pieces of information, all of which need entity resolution: in other words, which records belong to her, him or somebody else. Data enrichment: Petascale data sets include maritime domain awareness with hundreds of millions of individual transponders, tens of thousands of ships, and tens of millions of pieces of individual bulk cargo. These problems also have different types of input data. Social networks: Almost unbounded, like Facebook. Symbolic networks: Often petabytes in size. One example is the human cortex, with 25 billion neurons and approximately 7,000 connections each. “Many of us on the steering committee believe that these kinds of problems have the potential to eclipse traditional physics-based HPC [high performance computing] over the next decade,” Murphy said. While general agreement exists that complex simulations work well for the physical sciences, where lab work and simulations play off each other, there is some doubt they can solve social problems that have essentially infinite numbers of components. These include terrorism, war, epidemics and societal problems. “These are exactly the areas that concern me,” Murphy said. 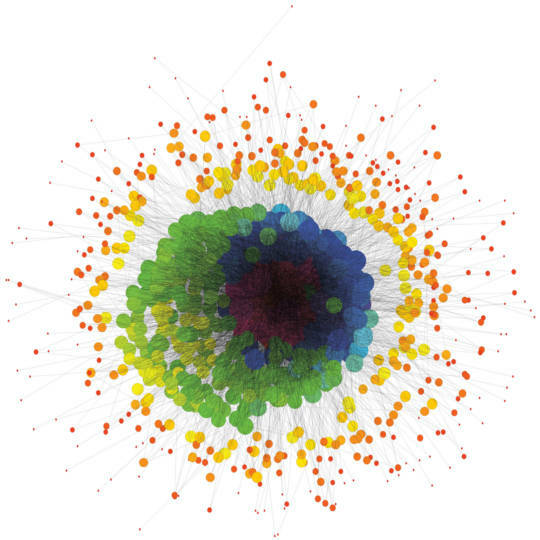 “There’s been good graph-based analysis of pandemic flu. Facebook shows tremendous social science implications. Economic modeling this way shows promise. “We’re all engineers and we don’t want to over-hype or over-promise, but there’s real excitement about these kinds of big data problems right now,” he said. “We see them as an integral part of science, and the community as a whole is slowly embracing that concept. Cambridge, MA - Sometimes when you're looking for one thing, you find something completely different and unexpected. In the scientific endeavor, such serendipity can lead to new discoveries. Today, researchers who found the first hypervelocity stars escaping the Milky Way announced that their search also turned up a dozen double-star systems. Half of those are merging and might explode as supernovae in the astronomically near future. 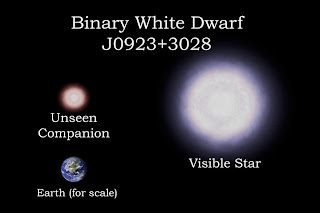 All of the newfound binary stars consist of two white dwarfs. A white dwarf is the hot, dead core left over when a sun-like star gently puffs off its outer layers as it dies. 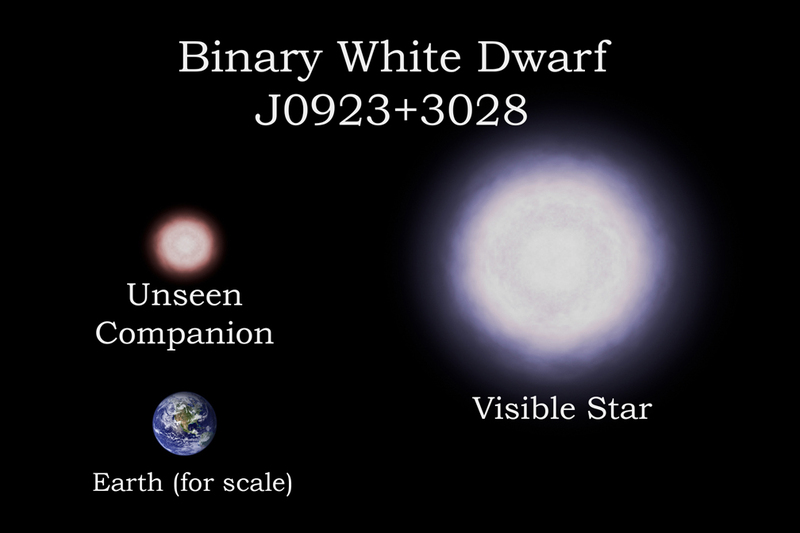 A white dwarf is incredibly dense, packing as much as a sun's worth of material into a sphere the size of Earth. A teaspoon of it would weigh more than a ton. "These are weird systems - objects the size of the Earth orbiting each other at a distance less than the radius of the Sun," said Smithsonian astronomer Warren Brown, lead author of the two papers reporting the find. The white dwarfs found in this survey are lightweight among white dwarfs, holding only about one-fifth as much mass as the Sun. They are made almost entirely of helium, unlike normal white dwarfs made of carbon and oxygen. Remarkably, because they whirl around so close to each other, the white dwarfs stir the space-time continuum, creating expanding ripples known as gravitational waves. Those waves carry away orbital energy, causing the stars to spiral closer together. Half of the systems are expected to merge eventually. The tightest binary, orbiting once every hour, will merge in about 100 million years. When two white dwarfs merge, their combined mass can exceed a tipping point, causing them to detonate and explode as a Type Ia supernova. Brown and his colleagues suggest that the merging binaries they have discovered might be one source of underluminous supernovae -- a rare type of supernova explosion 100 times fainter than a normal Type Ia supernova, which ejects only one-fifth as much matter. "The rate at which our white dwarfs are merging is the same as the rate of underluminous supernovae - about one every 2,000 years," explained Brown. "While we can't know for sure whether our merging white dwarfs will explode as underluminous supernovae, the fact that the rates are the same is highly suggestive." The papers announcing their find are available online at: http://arxiv.org/abs/1011.3047 and http://arxiv.org/abs/1011.3050. Headquartered in Cambridge, Mass., the Harvard-Smithsonian Center for Astrophysics (CfA) is a joint collaboration between the Smithsonian Astrophysical Observatory and the Harvard College Observatory. CfA scientists, organized into six research divisions, study the origin, evolution and ultimate fate of the universe.